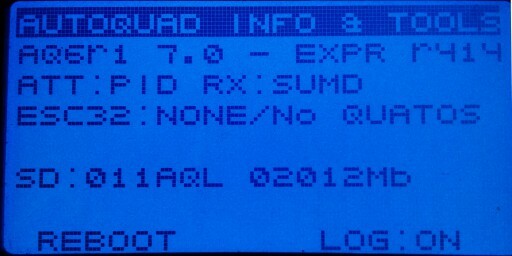 AutoQuad with the HoTT extensions in the firmware will maximize the telemetry features. 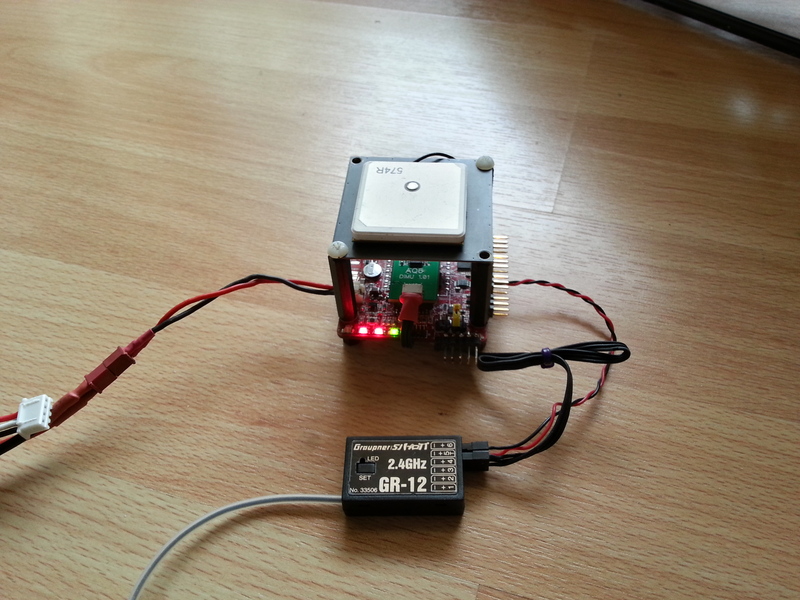 Most of the AutoQuad sensor data is able to transmit directly to a graupner HoTT transmitter. 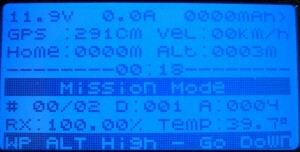 HoTT receiver (since r403 TELEMETRY_HOTT can be set to 0 so a HoTT receiver is no longer mandatory for the firmware extra’s). Please make sure both the transmitter and all receivers are up to date with the graupner firmware! As a minimum oct 2013! When using a DIMU board the GND, 5V and TX line is all you need to power the receiver and enable the telemetry. If you already have the receiver powered from another source you only need the TX line. Don´t power the receiver twice! Look in the appropriate Graupner manuals how to enable telemetry on the receiver, which port to select and how to enable telemetry reception on the transmitter. Connect all the cabling, power on the transmitter and WITHIN 20 sec turn on the AutoQuad FC with receiver. If you’re too late not all sensors will show up on the transmitter (that is by design in Graupners protocol). Just power cycle the transmitter in that case. Once all done, you can now toggle between all available ‘sensor’ screens using the up-down buttons. Any AutoQuad flightcontroller will now output General Air module, Electric Air module, GPS and Vario sensors. The HoTT protocol supports two types of telemetry, binary (default) and text. Binary telemetry uses pre-defined screens and values, is very fast and supports datalogging to the internal uSD card in the HoTT transmitter. 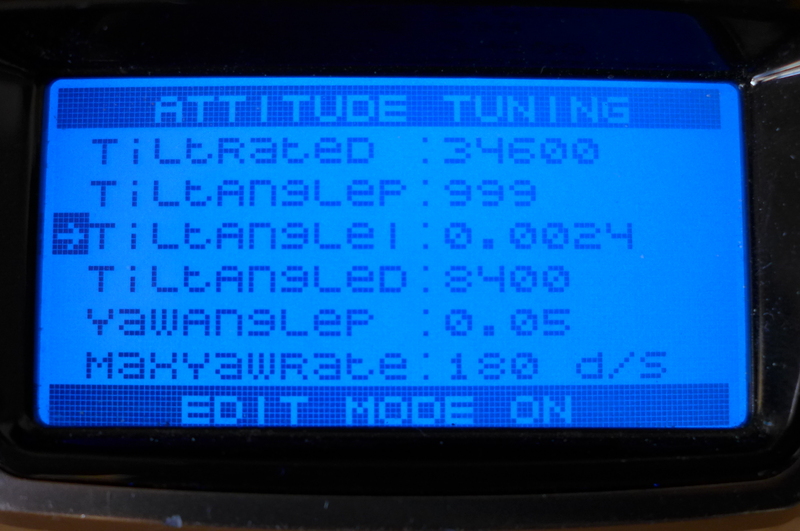 Text telemetry is basically sending a 8×21 character text screen, it can be anything you want. The flexibility however does not support datalogging. It opens whole new possibilities in telemetry and most of the development is in this area. 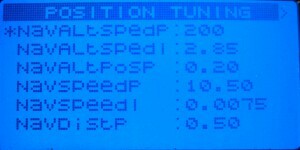 Jump to the section by clicking on the telemetry type. This section handles the Binary telemetry that is available. All HoTT available sensors (Electric Air Module, General Air module, Vario, GPS) are emulated and populated with all telemetry data from the AutoQuad flightcontroller. 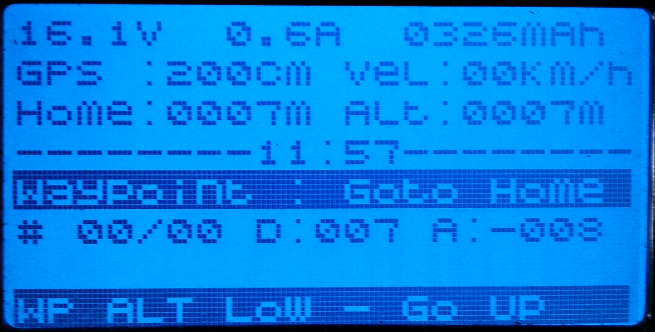 The main screen, (not available in General Air module) will also show the status line with information about the status. 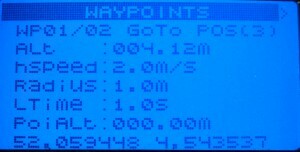 As extra bonus all data will now be logged to the transmitter sd card (when you enable a flight timer as in the graupner manuals) and can be examined offline using the graupner logdata tools. Replay the flight including the overlay on google maps is possible in that tool. If the FW finds active CAN enabled ESC32’s, it will also show the AIR ESC module. With the next-prev buttons you can walk through all available pages within a module. 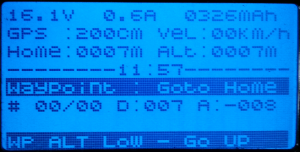 note: this is the firmware with an older menu, the new version is display here. Note: When you enter the text menu’s the Transmitter logging to sd feature is disabled. That is because no predefined data is available and free format text cannot be logged obviously. For AutoQuad a very special menu is build ‘hidden’ away in the transmitter screens. It is basically an 8×21 text screen that is transmitted. It is slower due to the size to transmit compared to the binary telemetry but the flexibility is enormous. When you select ‘Settings & Data view’ en press enter/set you will enter the receiver text setup. 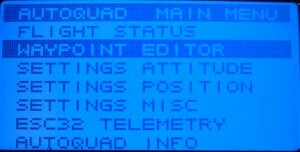 Depending on the type of receiver (light version or normal) you need to press next (up to 6x) until the AutoQuad HoTT text menu screens. In the current release a Main Menu is the first screen. 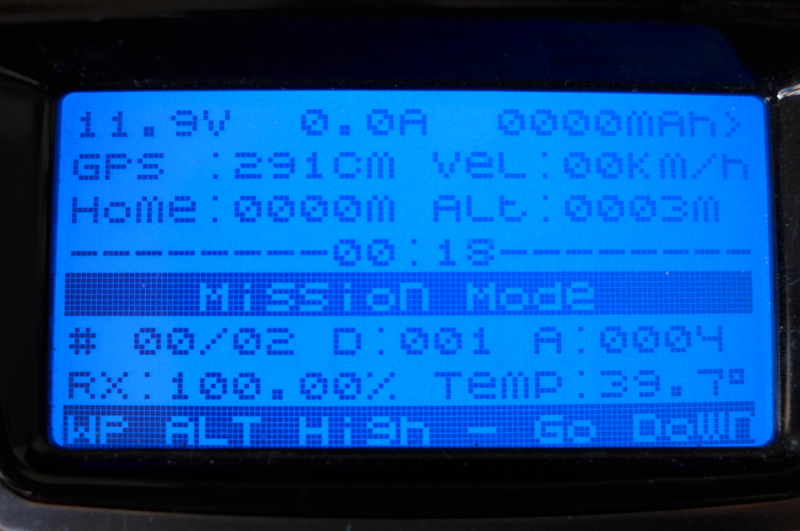 Screen 1: Main overview: Battery, Capacity, GPS info, altitude, speed, home distance and status. 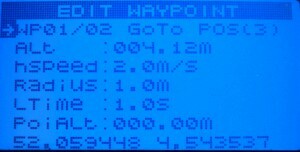 When going into mission mode all mission info including distance next waypoint, number of waypoints, actual waypoint type (goto pos, orbit, landing, takeoff etc) and waypoint altitude is also displayed. Also warnings like Ceiling (max altitude) reached is displayed. Any recorded waypoint (with WP recording switch) or uploaded waypoints are in this list and can be edited. Changing waypoint type, altitude, point of interrest etc. For edit press the set/enter key on the transmitter. In this menu you can change the altitude and/or horizontal speed for ALL waypoints. 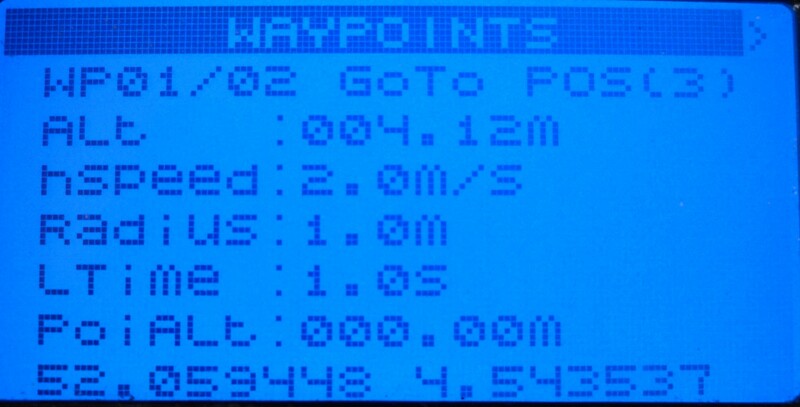 It is a offset, so the value is added to the original waypoint and is than 0 again in this menu. 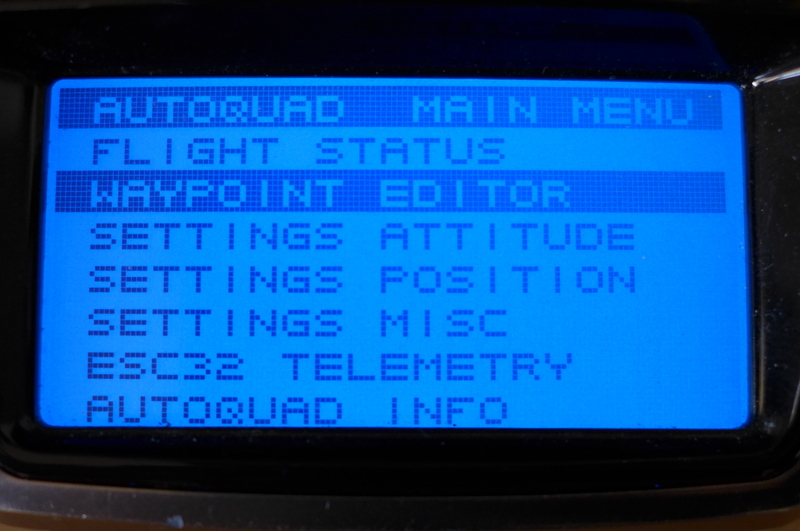 Example: to increase all waypoint altitudes with 10m, just set the alt in this menu on 10 and press set/enter. 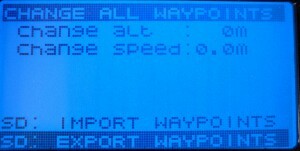 Extra: When an uSD is detected in the AutoQuad flightcontroller, the import / export waypoint function is enabled and shown. 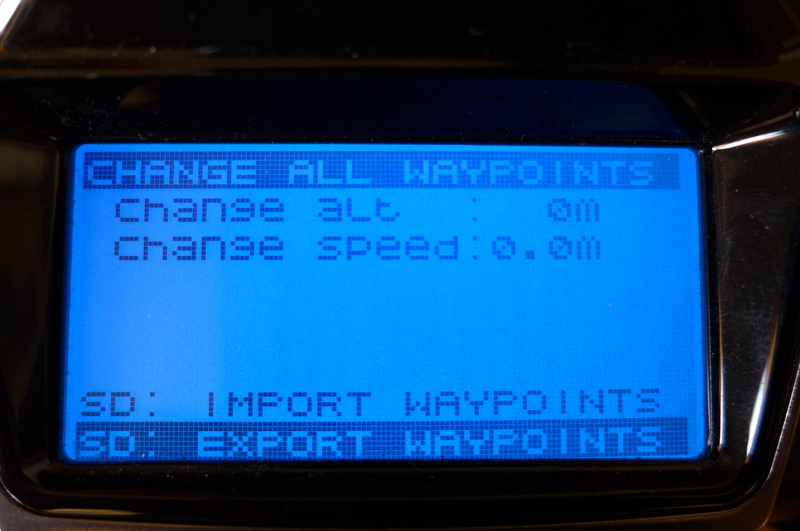 You can now save all waypoints to the uSD card and later retrieve it using the import function. Press set/enter to enable the edit function, press next to select either import / export and press set/enter again. New mission type; JUMP TO : Special for HoTT (not yet supported in QGCS or android app). 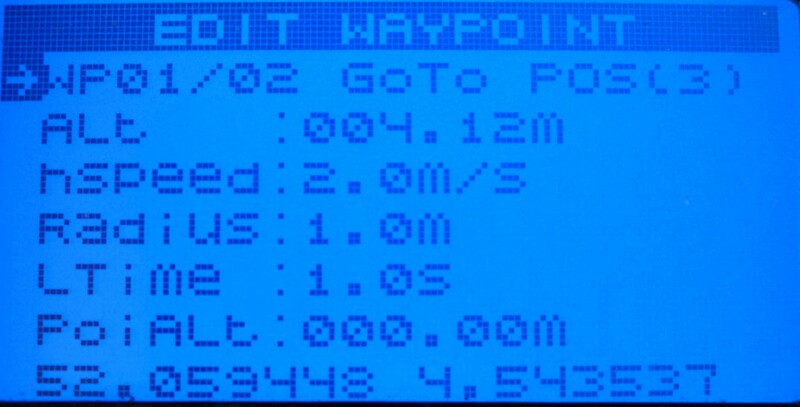 With this misison type you can jump to a specific waypoint number for a (repeat) number of times. Example: make a mission to fly a square, for waypoints for the corner, a 5th for jump to. 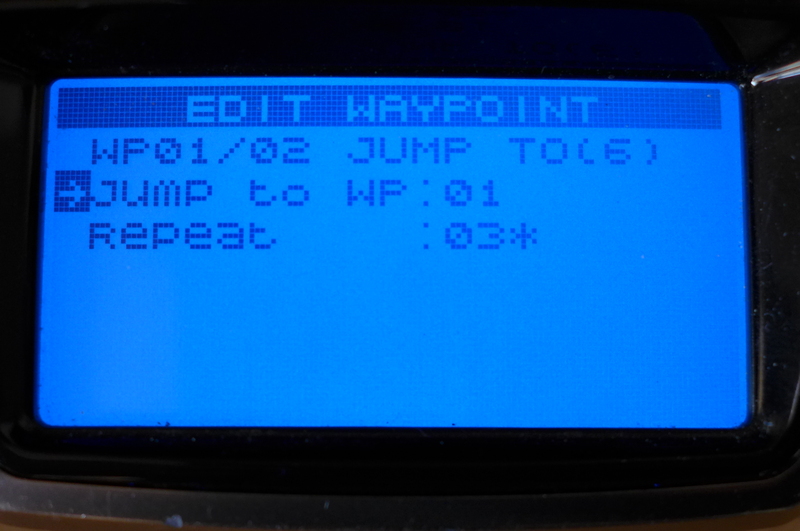 Set the jump to, to the 1st corner and the number of repeats. After the repeats the mission continues with the next waypoint for example land. Screen 3, 4 & 5: Now it becomes fun: Settings. Yes, you can change a selective set of AutoQuad parameters directly on the transmitter. Next button / switch: in edit mode: walk to next param. Prev button: not in edit mode and no menu switch assigned: main menu, with switch assigned: previous screen. 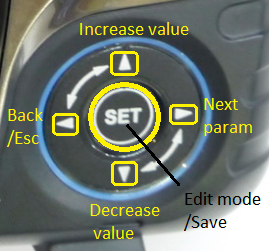 Set button: Enter edit mode. !only possible when disarmed! In edit mode: save params if any params are changed and exit. The most used params needed for tuning in the field are available. If needed you can always leave a suggestion in the forum for other params. All found and active ESC32 RPM and Wh usage. Set button: Enter Info mode. 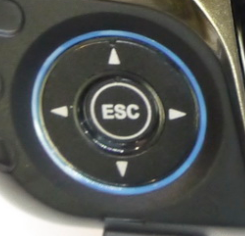 Up button: Ping (send beep command) to selected Esc32. 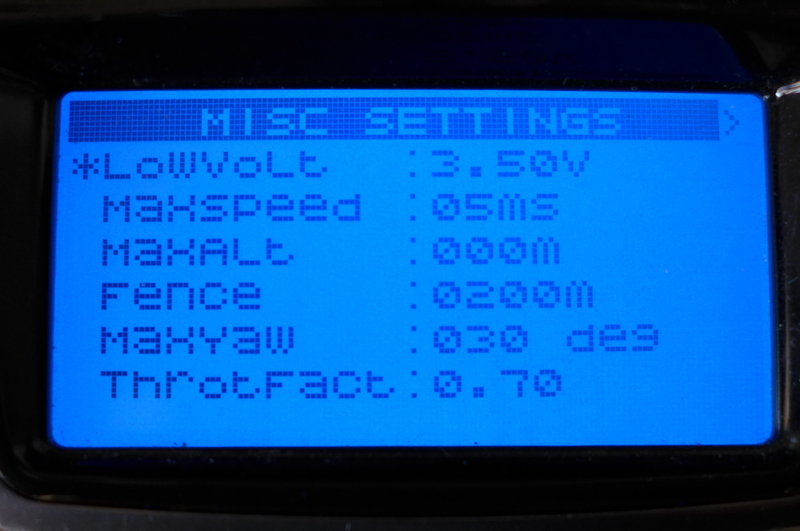 You can identify the esc32 and motor with this option. 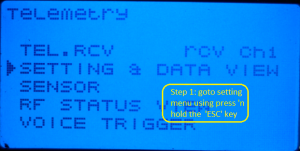 The statusline displays the selected Esc32 max Amps, the temp (not yet available) and disarm (error) code. 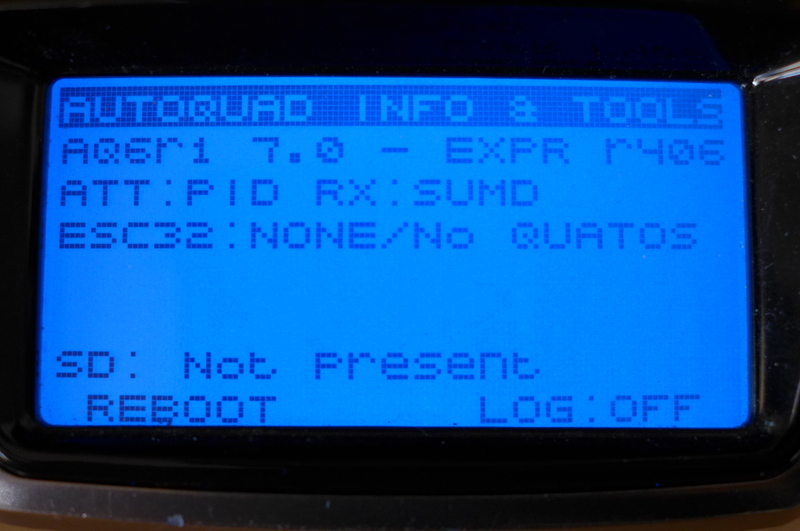 Tools: press set/enter to select the tool menu, reboot will reboot the autoQuad flightcontroller (only if disarmed) and log will enable/disable logging to uSD. Reboot will require a confirmation, just follow the on screen suggestions. Currentsensor support, using the pressure2 pads on a AQ6 board, current sens is supported and displayed in all HoTT screens as capacity used and actual current. Armed safety timeout. If you arm and forget, this firmware will warn after 30 seconds (using signaling) and disarm after another 10 seconds. Flying disables the watchdog timer. GeoFence. You can set a defined horizontal circle around the home position (in meters). When close to breaching a warning message is displayed. When breached the user controls (pitch/roll) will fall back to 10%. Its like hitting a wall. Returning inside the wall will restore the controls to full scale. Return to Home will work.Param is NAV_SIMPLE_FENCE set in meters. Now also non HoTT users can use the firmware extra’s. Set TELEMETRY_HOTT to 0 and the telemetry part will not be initialized. 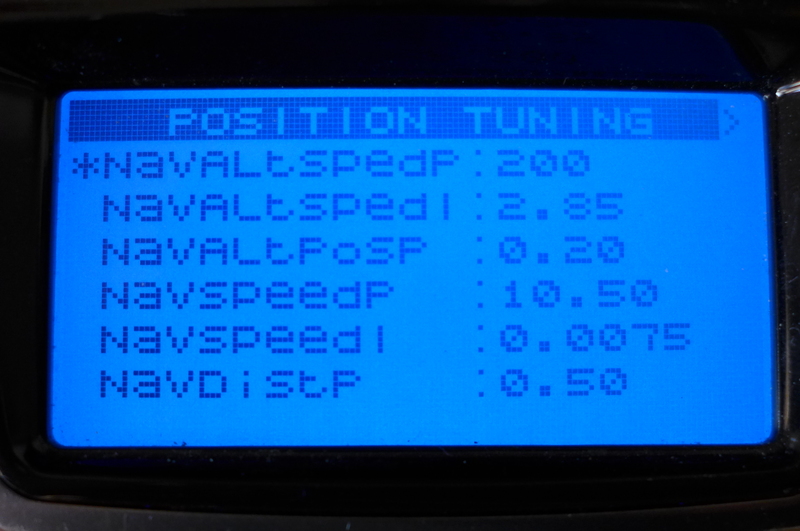 if the SPVR_CUR_OFFSET is 0, the currentsensor measure is disabled. It should be measured direct on the pads when no current is used. Note: for ACS75x it is usually 0.5*Vref, in this case close to 1.6-1.7V based on 3.3V Vref voltage. 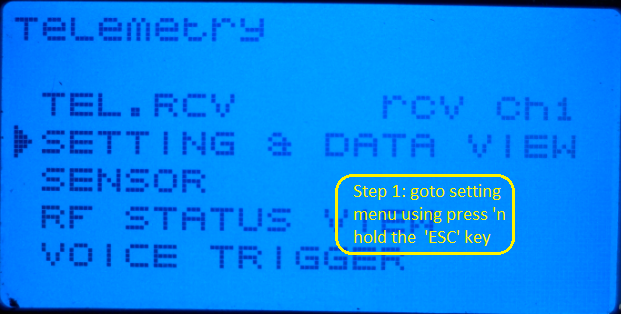 HoTT Menu: For connivance, a (momentary) switch can be assigned to navigate the menus. Example, set channel 12 (number 11). Press >0.5 sec for main menu and <0.5 for next screen. This page was created on 17-Mar-14 by kinderkram. Last modified on 10-Oct-14 by kinderkram.